Make the most of your space by using this versatile and contemporary adjustable sofa design from the Sylvia collection. Armless with exposed metal legs, this piece is sleek and modern. 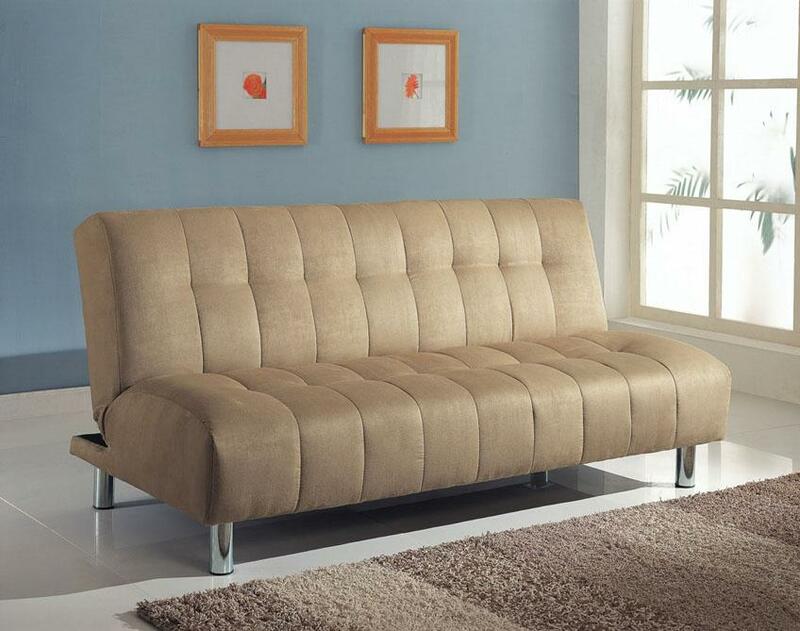 Tufted seating in a soft beige microfiber covers thick foam cushioning for lasting, sleep-worthy comfort. Use as a sofa for everyday or easily convert it into a plush bed for guests. When flat, adjustable sofa is: 70"L x 44"D x 16"H.
The Sylvia Contemporary Beige Adjustable Sofa by Acme Furniture at Michael's Furniture Warehouse in the San Fernando & Los Angeles area. Product availability may vary. Contact us for the most current availability on this product.